The Board of Directors of the Virginia Biosolids Council (VBC) established a Code of Good Practice in 2009 and then updated those guiding principles in 2015. The Code establishes guidance for the production and beneficial land application of biosolids in Virginia for its members and requires the Council to report on its progress annually. Membership of the Council includes representatives of municipal utilities and contractors that beneficially reuse or recycle biosolids. It was established to provide education and information on the recycling, beneficial use and production of biosolids, and to provide support to its members on regulatory, legislative and public matters. A Code of Good Practice provides the organization’s members with common sense best management practices reflecting the social responsibility and transparency required to operate today. The Council’s Code focuses operations on protecting the environment by using best management practices for the generation and recycling of biosolids; minimizing adverse social impacts by using best practices; and promoting education and awareness about the use and benefits of biosolids. Under the direction of the Board of Directors, the Council made the decision that a Code of Good Practice would enhance the accountability of biosolids generation and use in the Virginia. In addition to regularly providing safety and health information, recycling and use information, the Council committed to evaluating annually how the Council’s members met the objectives provided in the Code of Good Practice. This section includes an account of the VBC’s member performance during 2018. Since the Council began providing an annual report on its progress in 2016, no year has challenged the production, storage and use of the broader biosolids community more than 2018. There were more than 136 days of measurable precipitation in central Virginia in 2018, and 20 days of precipitation with 1 inch of rainfall or greater. Virginia’s biosolids regulations restrict the type of crops that can receive biosolids, the timing of application and soil conditions. Given the seasonality of planting and harvesting and different growing seasons, biosolids application usually occurs nearly year-round with restrictions mostly during the winter months. However, due to the excessive precipitation in 2018 it was difficult for municipalities and contractors to apply during primary seasons, spring and summer, which placed considerable strain on biosolids storage at municipal operations and other storage facilities. The higher than normal precipitation created operational challenges, however interaction on biosolids matters with the public and the regulated community was not significantly different than previous years. The VBC uses as an indicator of compliance information maintained by the Department of Environmental Quality (DEQ). Provided below is a summary of the information available to public on the use and recycling of biosolids in Virginia. In 2018, DEQ conducted 329 inspections on farms where biosolids was applied. VBC members were responsible for more than 98% of biosolids recycling and use in 2018. VBC members received three warning letters of four issued by DEQ. In 2018, DEQ reported 27 complaints from the public specific to biosolids activities. These complaints from the public can be characterized in the following manner: (a) runoff; (b) odor; (c) track out; and (d) livestock exclusion. Since the initial approval of the Code of Good Practice in 2009, according to publicly available records, the number of complaints from the public during the land application of biosolids has decreased from 106 annual complaints in 2009 to 23 in 2017 and 27 complaints in 2018. Of the 27 complaints recorded in 2018 by DEQ, 10 were associated with a single site in Loudon County. No violations or warning letters were issued at that location. DEQ regulations require property owners adjacent to an application site be notified about the application and use of biosolids. VBC members actively participate in public informational meetings to address citizen questions or concerns that originate either during a public comment period or at informational meetings. In 2018, VBC members provided specific information to the public during nine information meetings. DEQ mailed 789 permit notices to adjacent property owners in advance of those meetings, and 83 citizens participated in meetings. As the Code provides, continual compliance and improvement is important to the success and sustainability of biosolids recycling and use, as is sometimes going beyond required regulations. 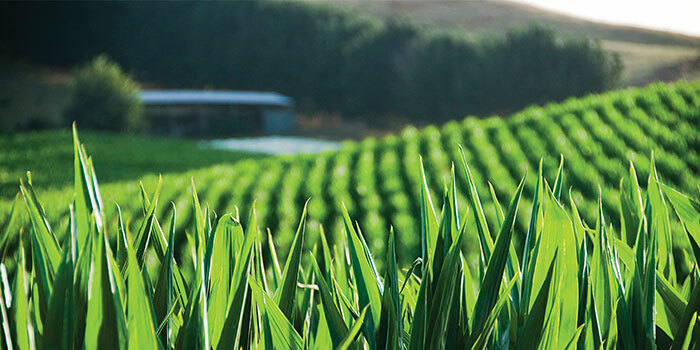 As an example, in 2018 Synagro planted cover crops to some of its permitted farms to assist with the challenges associated with excessive wet weather. Cover crops can help a farmer by reducing soil erosion, reducing soil compaction, increasing organic matter, and supplying nitrogen, among other benefits. As another example, the Western Virginia Water Authority responded proactively to growing concern about pharmaceuticals in wastewater and has partnered for almost a decade with local non-profits, law enforcement officials, and U.S. Drug Enforcement Authority (DEA) representatives to reduce impact to the Roanoke River. Since initiating take-back days in 2010, more than 31,000 pounds of medication has been collected. The Council membership is committed to steadily improving the quality of the biosolids generated and to responsibly recycling biosolids in Virginia and is adhering to the guidance provided in the Code of Good Practice adopted by its Board of Directors. This is the third annual report card to be issued by the Virginia Biosolids Council. David J. Simons | President, Virginia Biosolids Council | President, Nutri-Blend, Inc.